Underrated is a new series I am starting where I talk about my favorite, most underrated characters from different fandoms, stories, shows, and more. I want to highlight how important and special these characters really are. 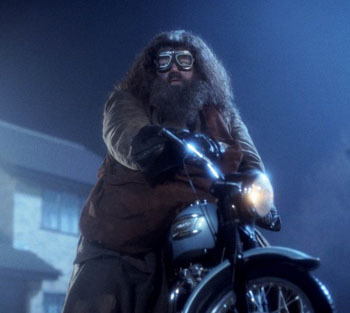 And probably the most underrated character of all is the one and only Rubeus Hagrid. Everyone knows of Hagrid, but when it comes to how important he really is to the series is where people get a little confused. 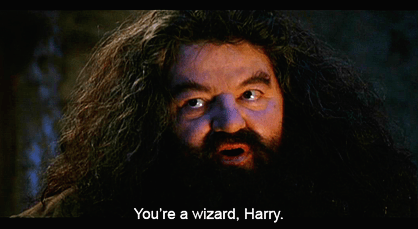 Obviously, he has the duty of telling Harry he is a wizard, so that’s pretty dang important if I do say so myself. But that’s not where Hagrid’s awesome character and story end. Just taking a look at his past, Hagrid certainly had enough happen that clearly impacted him in later life. He is a half giant, half human, so he doesn’t fit it with the other wizards and witches of Hogwarts. And as a student, he was seen as brutish and scary, a monster even. And then, we find out that, while he was a student, he was accused of opening the Chamber of Secrets which caused the death of Moaning Myrtle, a crime he was innocent of doing. This caused his expulsion from the school. Faster forward, and Hagrid is now acting as a grounds keeper for Hogwarts, given the position by Dumbledore because he had nowhere else to go. He has a deep love for the care of magical creatures and sees in every creature love and good in them. He understands how it feels to be feared and hated, so he only shows love for his creatures. Overall, Hagrid has a humble positivity to him that makes him the greatest. Seriously, how did you not cry during that?! Hagrid is such a valuable character because he is inspiring with his compassion for everyone, including creatures. He is also a symbol of thriving from adversity. Plus could you even imagine the Harry Potter series without Hagrid welcoming them all at the train station, giving Harry Hedwig for his birthday, teach Care of Magical Creatures, and just being a part of the Hogwarts family? The answer is a definite no. So true! He had more of a role in the book, I loved his experimentation with breeding. I sobbed through that chapter along with everyone else lol. Best chapter ever!! I love Hagrid! And cried my eyes out at the end of Deathly Hallows. I feel like so many of the Harry Potter characters have such great back stories and are so well developed that you could have a whole story about any of them. 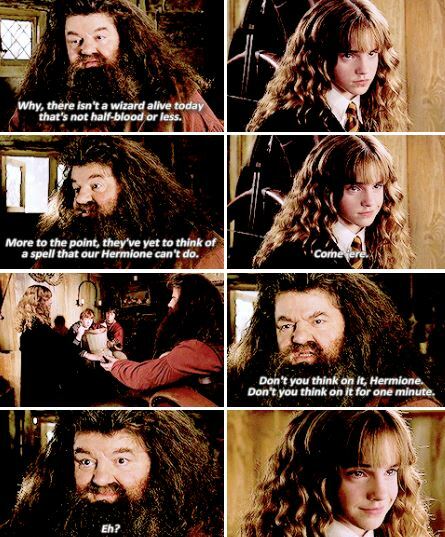 I absolutely love Hagrid. I’m finally reading the series and just started book 5 and I just think Hagrid is the most stand up guy ever – he’s kind to all creatures and he really cares about others. I couldn’t agree more. I love Hagrid, it’s a shame he was so underrated. But he’s an awesome character! I love Hagrid! He is definitely an integral part to the HP Series! This post is great, I love Hagrid! I totally agree! Hagrid is more important than many ppl thinks. And I also love the prompt! !